All books are treasures, but some more so than others. 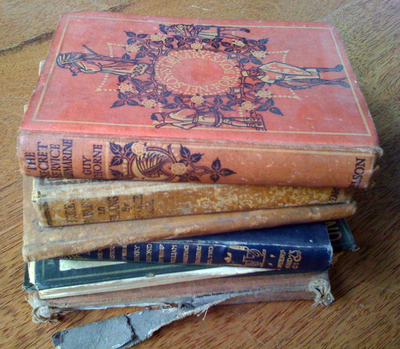 Over the years we acquire books that may be older than others - they may be older than ourselves! Do you own any books that are prized possessions, and what makes them special? I got this as a Xmas present in 1959. It was THE only one ever produced. I read, then re-read its' stories' countless times, as a child. It was my constant companion, & I learnt much from its' stories! I could not decide on this -I have an original Peter Pan illustrated book that is an antique and it is in beautiful condition and even has a dust jacket -however, having about 200 very old illustrated children's books, it is really hard to pick a favourite. I love my old May gibbs, Ida Renoul Outhwaite, and Edith Howes illustrated books. The one that is open on my desk 24 hours a day, and read all the time. Or I would not make it through my day.